Great ideas, Amy! Thanks for the tips! I especially like the silver frame with the wire for your earrings. Earrings I find get lost in drawers and I am forever looking for the ones I want to wear, can be frustrating. Lots of good ideas in this post! Wow, Amy, you have a lot of jewelry! Love how you displayed it. 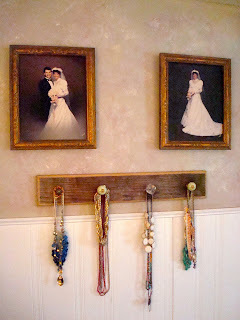 Really gives the room a vintage feel to it with the beautiful colors. 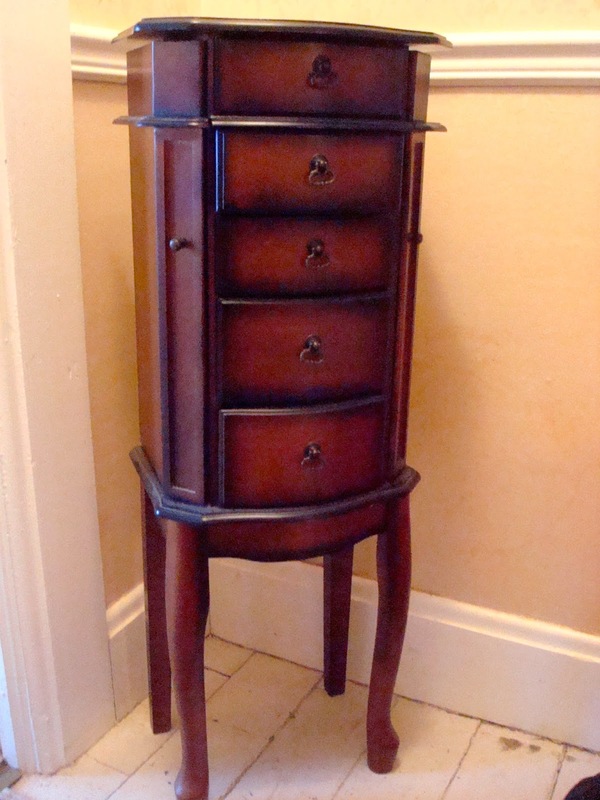 Glad your hubby likes it, mine would like it too, as he likes all things vintage and antique. 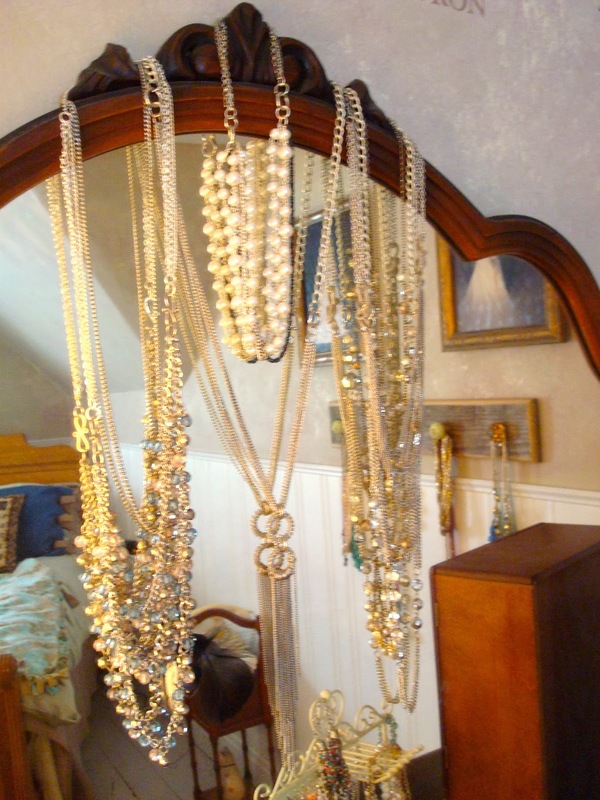 these are some great ideas for storing jewelry!